The other morning started out like every other morning Chez Garth. I was making pancakes. The kids were taking WAY too long to come downstairs. Child #2 came down first. He was grumpy, which is not unusual because he's always grumpy before he eats breakfast. I handed him a plate of pancakes and then, as I opened up a new bottle of syrup and poured a little bit on, I made a rookie parenting mistake. With one finger I sampled the syrup and said, "Huh, that tastes different." "Different how? What do you mean?" he said poking his pancake with his fork and looking at it like it might bite him instead of the other way around. Realizing my error I backtracked. "Not different at all. It's delicious. It tastes exactly like our ordinary syrup." He took one suspicious bite, chewed a minute and then spit it out onto the plate. "I can't eat this," he said (and he actually threw up his hands in disgust). "This is awful. It tastes like throw-up. I think I'd like jam instead." "Okay, Paddington Bear," I said as I dumped his pancake into the compost bin. He was lucky because he caught me on a patient morning. Maybe the reason I was feeling patient is because I've been struggling with some of my own perceptions and I'm fresh from the realization of the power those perceptions hold. My writing process is usually linear. I start at the beginning and work my way through to the bitter end. I've always done it that way and because that's the way I've always worked I didn't think any other way would work as well. But suddenly, with this WIP, I'm hopping all over the place. I wrote the beginning and then several scenes in the middle and now I'm back to the beginning. It's a weird way for me to work. Like new syrup, it's different. Unlike new syrup, I suppose time is the only thing that will tell if the end result is delicious. Labels: Paddington Bear and Pancakes. Who knew they had anything in common. Writing. Kids. Patience. Perception. You should check out K.M.Weiland's blog. She just wrote about this exact thing the other day. Sometimes things aren't always linear. You'll have to let us know. I'm linear, too. Except with my WIP, I have a solid timeline. I used it to let me jump ahead when I'd gotten a little offtrack with everything I needed to include in an earlier scene. I'll have to fill that part in when I go back on second draft. I'm liking the way that's working out. Without the timeline, I would have been stuck for days trying to unravel everything. I've never been a linear writer, I always tend to start in the middle and work backwards and then jump to the beginning and work forward to meet the middle, and then write the end, and then go back to the middle to find the end. It makes for making things flow a little difficult sometimes, but it is the only way I know how to write. And I am sad to say I was much like child #2 growing up. My mother had the patience of a saint I swear. Write whatever way is working for you. I love knowing that there is no right way. What works, works. Great post! I write linear as well, but that doesn't always work. You have to go with your gut. If that means hopping around, do it! I've found that sometimes you just have to write the way your brain tells you too. I made the same mistake with ketchup not too long ago. Before Monster even tried it, she looked at the label and said, "This isn't our regular ketchup. I don't think I want it." You threw out the pancakes??????????? WTF, Joanne, I could have taken those beauties off your hands! Interesting metaphore. If #2 had been a grandchild of my mother, spending an old-fashioned summer at grandma's, she would have said "Don't taste it just eat it." Which I suppose is the metaphore for the linear approach. I am absolutely all about A: forcing children to eat horrible, yucky pancakes and B: Jumping all over when I am writng the first draft and then sticking all the chunks together with 'story-glue'. Oh man, that was a rookie mistake! Lol. I'm pretty linear but I do get scenes in my head and they may be way ahead but when I try to write them it isn't always easy and I have to put it off until the writing is to that point. Good luck on the new WIP! write hopping I just over can't all. just too I'm linear. pancakes And gave up he on? can't do I that. Shell, thanks for the head's up. Carol, will report back when it's finished. Barbara, so true. No right way. Emily, hopefully I won't end up with a mess. Anne, see total rookie move. Cathy, LOL, and next time I'll send them your way. Katie, so good not to be alone on that front, right! Angela, I hope it works. TL, Love that phrase. I'm breaking it proudly! Joanne, I'm absolutely going to use that line. Connie, will you come by and help me whip him into shape? Dianne, I hope it works! Josh, you're comment made me laugh, which I needed, so thanks! I write like that, hopping all over the place, usually. It's kinda torture. But I'm finding each story has it's own way into the world. Wow. That was deep for me. Phew. Sometimes I write out of sequence. I think it makes for more revisions later, but it's more fun while I'm doing it. 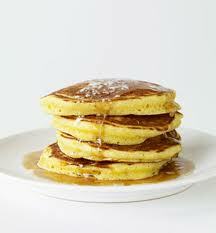 As for pancakes, we dip ours in unsweetened applesauce. My tiny person has a reaction to sugar that makes his personality unpleasant (I am being kind). We don't own syrup. Here is new tip for topping a stack of pancakes or waffles or even ice cream...organic agave nectar! I am addicted. I have a glue-y unravelly story on the back burner (along with the pancakes) right now, after decades of being a linear gal. Losing Beauty is such a gem, and I don't think it matters how you write your books - I just know they will be fantastic. Because you have that "it" factor, girlfriend. and yay! another non-linear writer! PS seconding the suggestion for agave syrup, it is SO delicious!